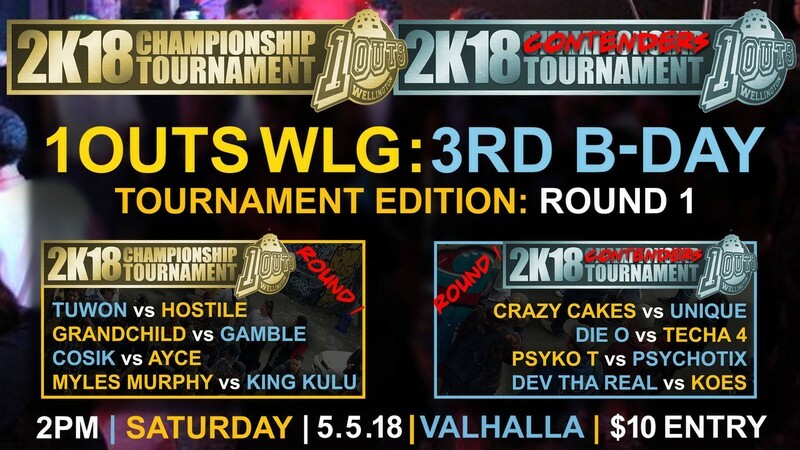 1Outs WLG is celebrating it's third year running and what better way to celebrate than to get our Champions and Contenders Tournament started off with a bang! This is the first of 4 rounds of the year going tournament. Who will be 1Outs Wellingtons Battle Rap Champion and who will be the no.1 Contender for next year? Make it to the live event so you can find out!